Background: The Frauen Warte was the Nazi Partyâ€™s bi-weekly illustrated magazine for women. 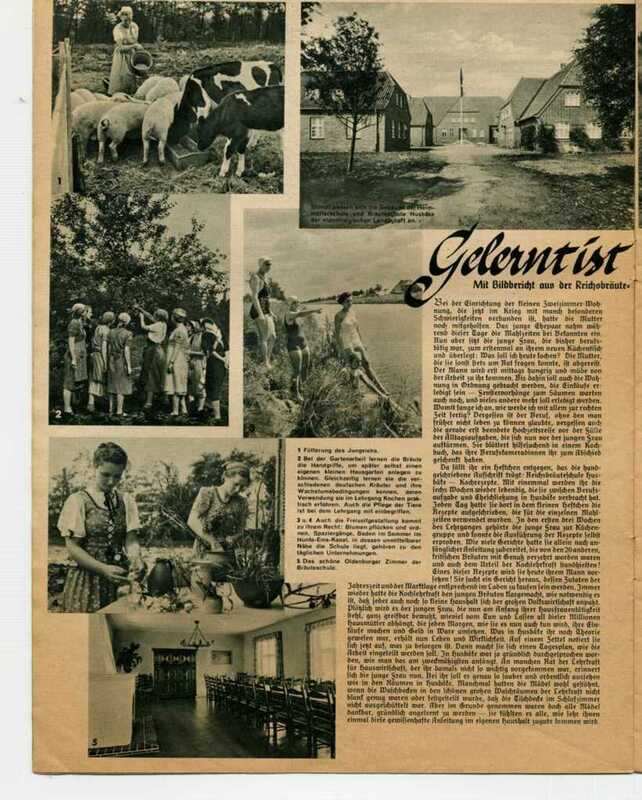 This page includes scans of a two-page article of an article on a Nazi school for brides. The English translation of the article is available here. This page includes translations of the picture captions. 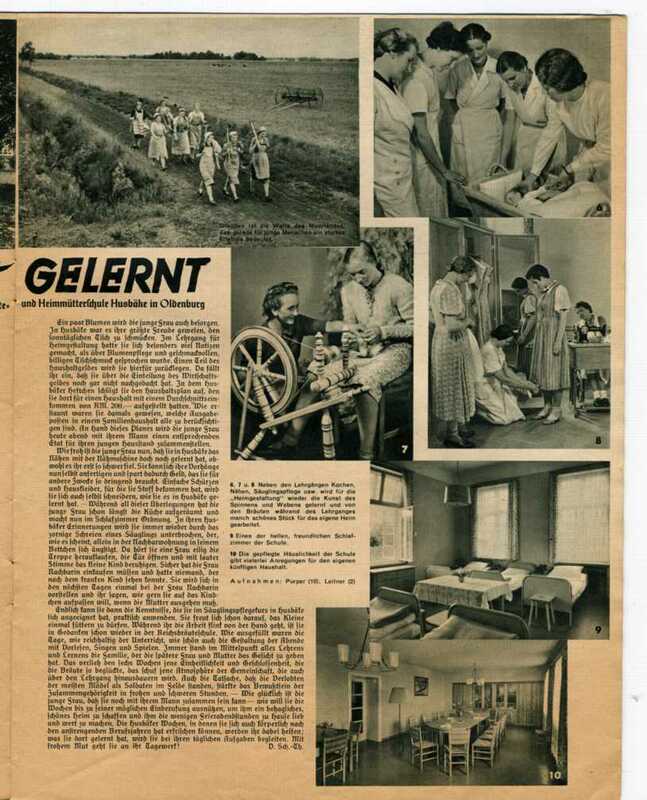 The source: “Gelernt ist gelernt: Mit Bildbericht aus der Reichsbräute- und Heimmütterschule Husbäke in Oldenburg, NS Frauen Warte, 8 (#22), 2. Maiheft 1940. 2. The brides learn to use gardening tools so that they will later be able to have their own small garden. At the same time, they learn the various German herbs and how to use them, getting practice in the cooking course. The course also includes animal husbandry. 3 and 4: They also use their spare time well. To the right, picking and arranging flowers. Hiking and swimming during the summer in the Hunte-Ems Canal, which is near the school, are part of the daily routine. 5. The beautiful Oldenburg Room of the Brides’ School. 6, 7 and 8: Besides the courses in cooking, sewing, and baby care, knitting and weaving are taught. During the course, the brides make beautiful things for later use in their own homes. 9. One of the schoolâ€™s bright, cheerful bedrooms. 10. The domestic homeliness of the school provides many hints for their own future households.